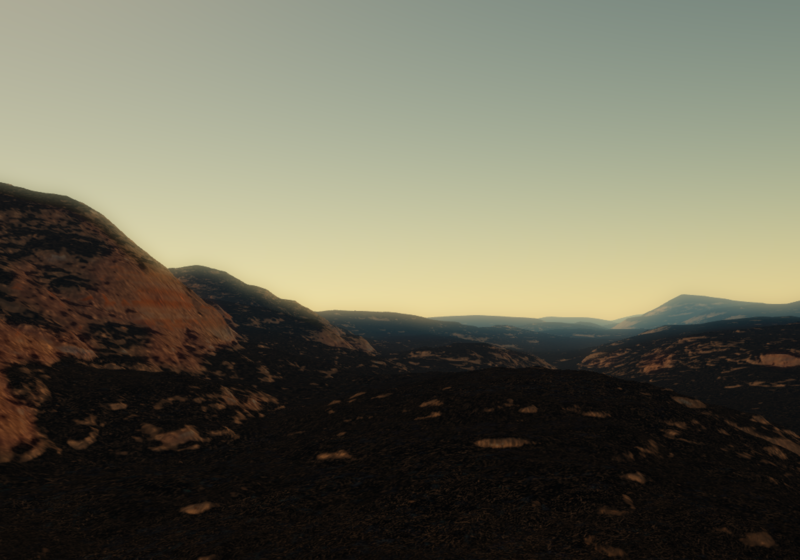 This planet isn't in our galaxy, but I really enjoy how the procedural generation created something pretty similar. It is the third planet from it's sun, like ours. 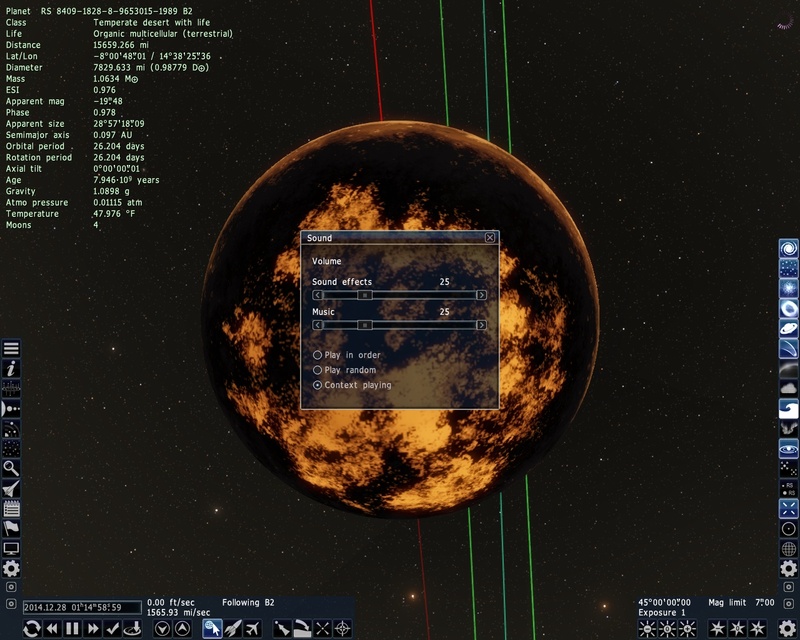 The distance is 1.074 AU from it's sun. The sun itself is similar to ours, although it's a white main-sequence star. Spectral type is F8 IV while our sun is G2 V.
The gravity is half ours though and the atmosphere is very thin. Single cellular life though. 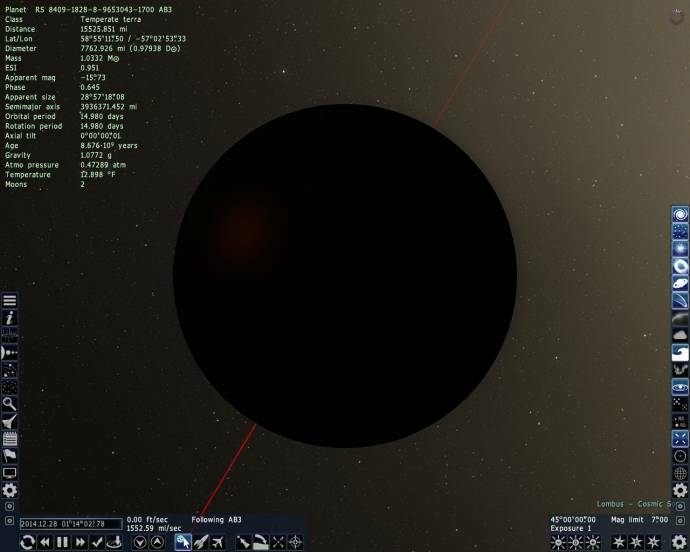 I was more intrigued by the black planet in the planet browser to the right of the planet in the list first, then took a gander at this one. Thought all the similarities were pretty cool. This galaxy is pretty far away too from the milky way. The planet is found in an Sa galaxy while ours is an Sc so it's different but the diameter is just a hair larger than ours. ESI is .78 so not bad. Even though it should be a close second, here is my entry. 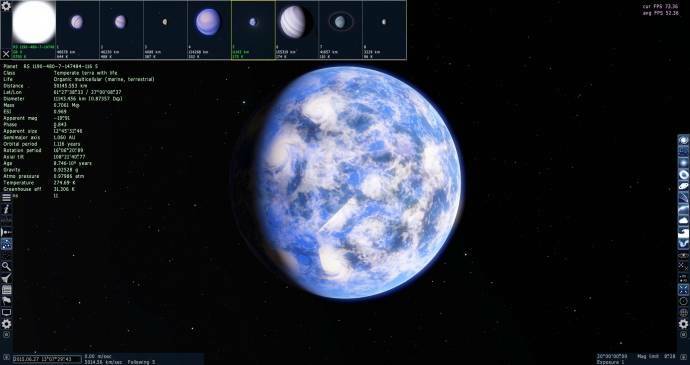 I found it myself, and it blew me away, with its diameter, mountains, age, air pressure, and a tidally locked side with no massive ice cap, but ice "rivers". I renamed it Mirai, and it's host star Astrona. I got a Terra with ESI 0.983! It's nice and green, with a thin atmosphere and some blue lakes and purple air. ESI 0.947, It does not look orange and it's not tidally locked, green plants, blue water, blue atmosphere etc. Edit: I forgot to search in the milky way. 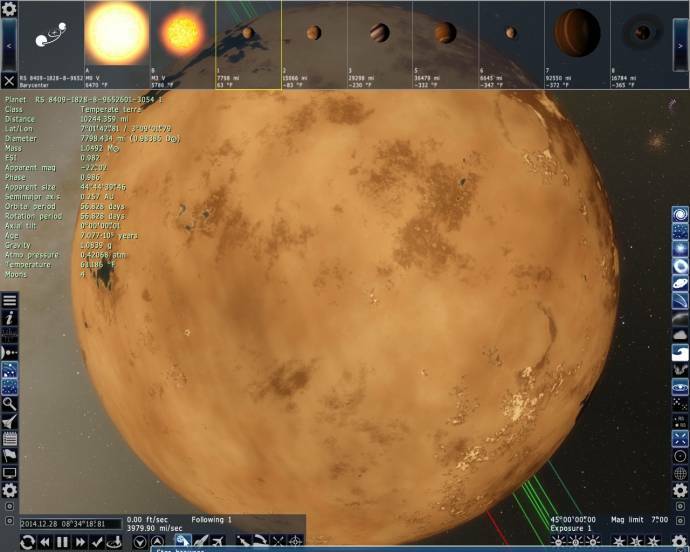 Even tough all my 101 planets with life are in other galaxies. 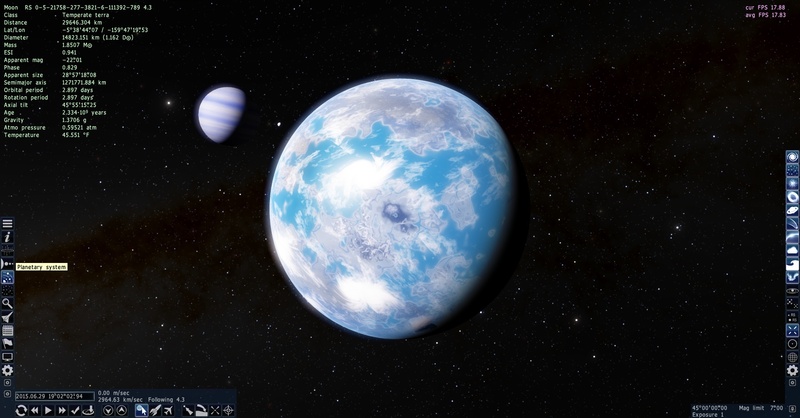 The second is RS 8404-1353-9-87552380-250 A4.3, a .91 moon with a very thin atmosphere and lots of water. Hello and sorry to bother you guys with a newbie question, but i've searched the manuals for an hour now and can't seem to find out how to visit the locations you post. 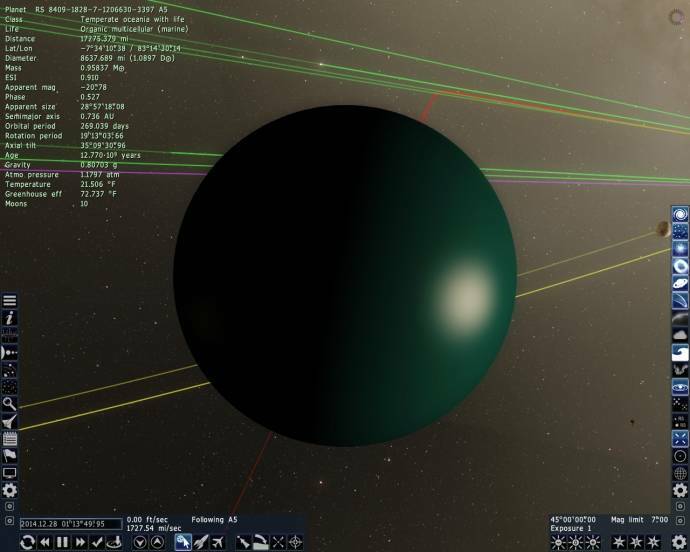 I open the search box in SpaceEngine with F3 and enter the codes, but SpaceEngine always tells me it can't find the location. 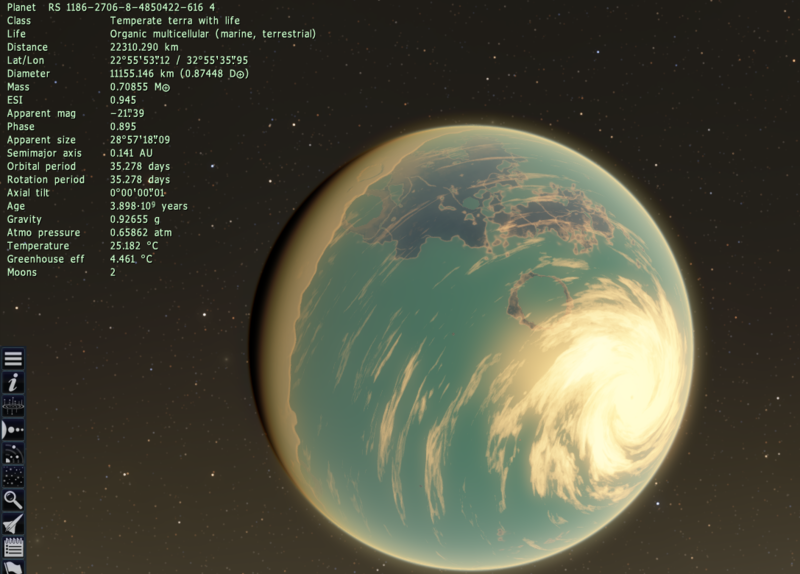 I am using SpaceEngine 0.9.7.3. Any hint? Edit: I just tried the code from IanTheGuy in the post above me and that one worked. I found an ESI 0.969 with almost identical atmospheric and gravitational density and force, the only issues are that it is fairly chilly, has a high axial tilt, and a really short day... and it's not in the Milky Way. Oh well, it's still the best Earth-like planet I've ever found! 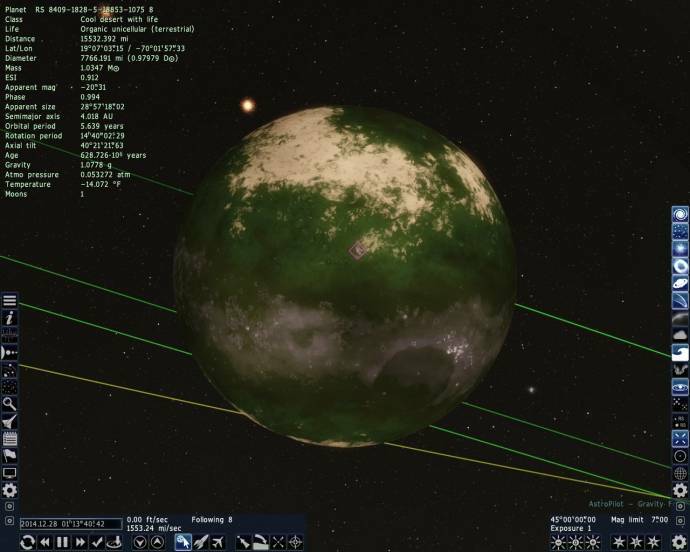 I have a fairly high ESI on this moon, but that's not what I found most interesting. 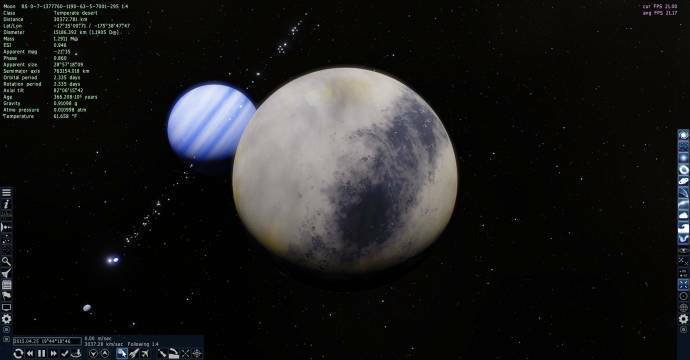 It was one of four moons orbiting this planet with ESI values greater than 8.0. A fifth had one around 0.78. Also had a pretty close ESI on this one. I found this REALLY nice 0.945, and it orbits an M2 Red Dwarf in the Andromeda galaxy Bonus points for having life! I imagine the life on this planet has evolved HUGE lungs and resistance to radiation. Advanced aliens? Probably. Can we use .973 now since its the latest version? Or does it still have to be .97? Wondering because i dont have two different versions on my comp, just the latest. Also its a lot harder to find planets higher then .8** ESI on the newest version. I dont think i have seen one yet and i have been looking very hard for a while now. Also how do you get the atmosphere so clear? For me its always very foggy, like its thick. Where my field of vision is limited to short range. Making it very hard to take good screen shots. You may use any public version, I'm pretty sure. 0.9.7.1 to 0.9.7.4 Beta 5.